Congratulations for completing the 31-day promises as we declared them daily for 31 days. Today, let us declare victory unto our life. "I declare I walk in the blessing of Almighty God. I am filled with wisdom. I make good choices. I have clear direction. "I declare I am blessed with creativity, with good ideas, with courage, with strength, with ability. "I declare I am blessed with good health, a good family, good friends, and a long life. "I declare I am blessed with promotion, with success, with an obedient heart, and with a positive outlook. "I declare whatever I put my hands to will prosper and succeed. I will be blessed in the city and blessed in the field. I will be blessed when I go in and when I go out. "I declare I will lend and not borrow, and I will be above and not beneath. "I declare right now that every negative word, every curse that has ever been spoken over me, is broken in the name of Jesus. "I declare the negative things that have been in my family even for generations will no longer have any effect on me. "I declare that from this day forward I will experience a new sense of freedom, a new happiness, and a new fulfillment. "I declare I am blessed!" Suggestion: Do not stop here. 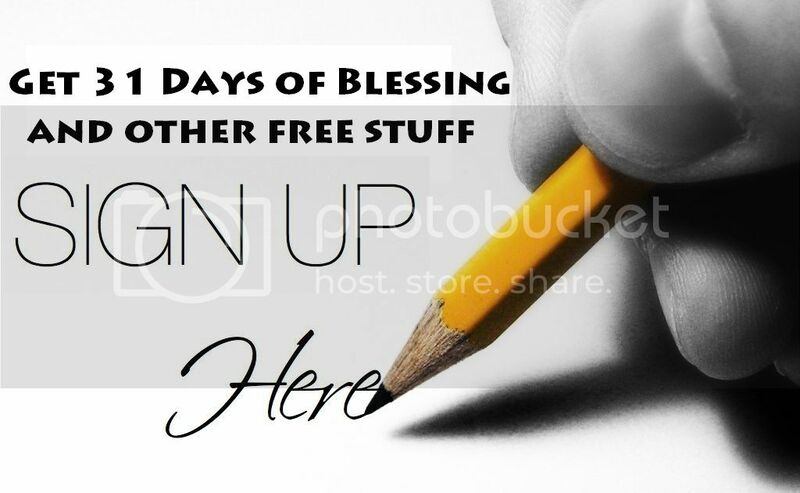 Go back to Day 1 and repeat the declaration daily for another 31 days until you achieve the life full of blessings. To fully understand the meaning of each declaration, I suggest you buy a copy of the book I Declare - 31 Promises To Speak Over Your Life by Ptr. Joel Osteen. Check your email for the download link if you have been with us for 31 days already. I DECLARE everything that doesn't line up with God's vision for my life is subject to change. Sickness, trouble, lack, mediocrity, are not permanent. They are only temporary. I will not be moved by what I see but by what I know. I am a victor and never a victim. I will become all God has created me to be. This is my declaration. Anything that doesn't line up with the vision God placed in your heart should be seen not as permanent but as subject to change. I DECLARE God is going before me making crooked places straight. He has already lined up the right people, the right opportunities and solutions to problems I haven't had. No person, no sickness, no disappointment, can stop His plan. What he promised will come to pass. This is my declaration. Almighty God is going before us, fighting our battles. I DECLARE God is working all things together for my good. He has a master plan for my life. There may be things I don't understand right now but I'm not worried. I know all the pieces aren't here yet. One day it will all come together and everything will make sense. I will see God's amazing plan taking me places I never dreamed of. Don't be impatient. It's not over until God says it's over.